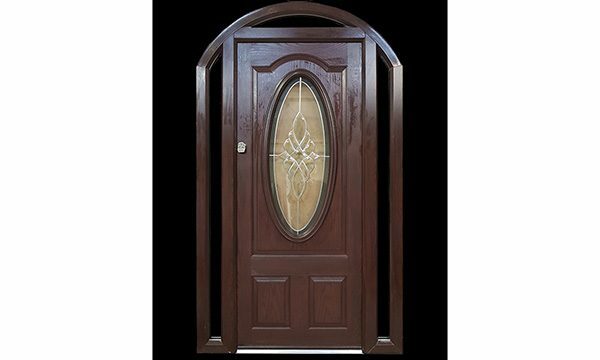 Profile bending company Force 8 are known for creating innovative designs and this shows in one of their most recent creations, an arched composite door with oval glass alongside their auto lock system. Dennis Sumner, Managing Director of Force 8 comments, “Force 8 is also generating new and creative products that are taking the industry by storm. As far as we are aware of we’re the only company that still does these types of composite doors, expanding on our portfolio. This design has taken months of planning and creation to ensure that it is of the highest standard”. Depending on the style of the arch, this allows for welds and steel reinforcements to be used where possible, creating the true radius of the arch. By using this process it allows Force 8 to design and manufacture arches and curved sections of any size to the correct measurements. 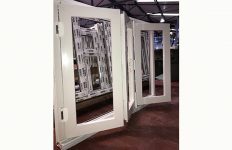 This process is unique to Force 8 and offers a structurally stronger frame, claim the company. “With the use of our new auto lock, this provides for a higher standard of security. The locking system that we use has 3 latches which provides for compression points on the full length of the door. When you shut the door, this will engage the trigger and places all five locking points into the keeps – when you use the key, the centre deadbolt will be thrown. To release, simply turn the key”, comments Dennis. 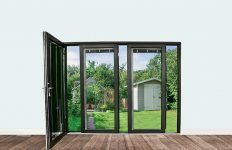 The company’s new 2018 door collection brochure features 64 pages of Force 8’s expanding door portfolio which has the addition of new door designs being added, giving a wider option to choose from and can deliver its products nationwide. 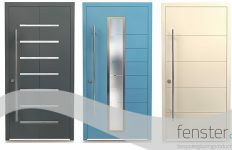 Force 8 has also now added a new door designer onto its website, allowing visitors to visualise the design of a new entrance door before it is received.